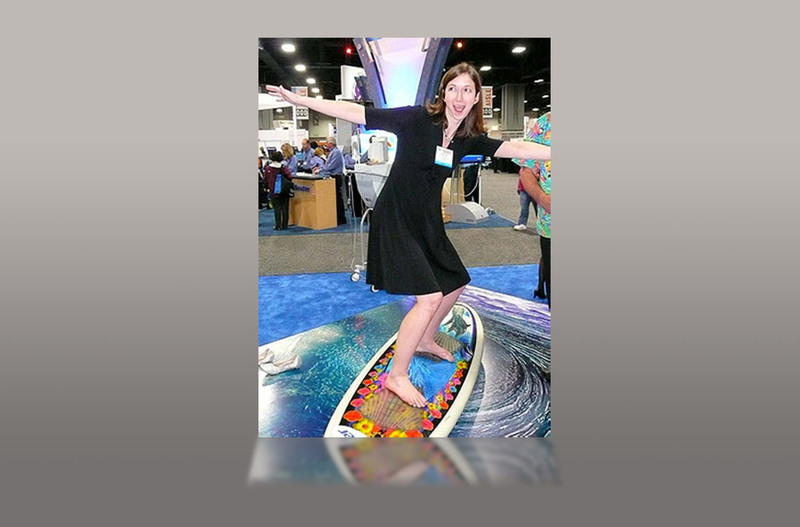 Fluid balance, while important, is not a top priority for critical care nurses making life and death decisions each and every day. 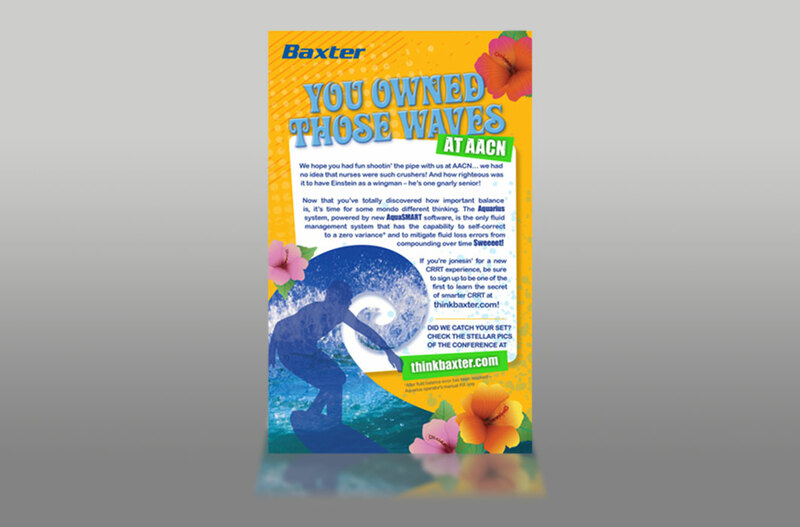 A highly creative and impactful booth was essential to stand out among stiff competition at key tradeshows in order to drive tradeshow traffic, increase engagement times and build message retention. 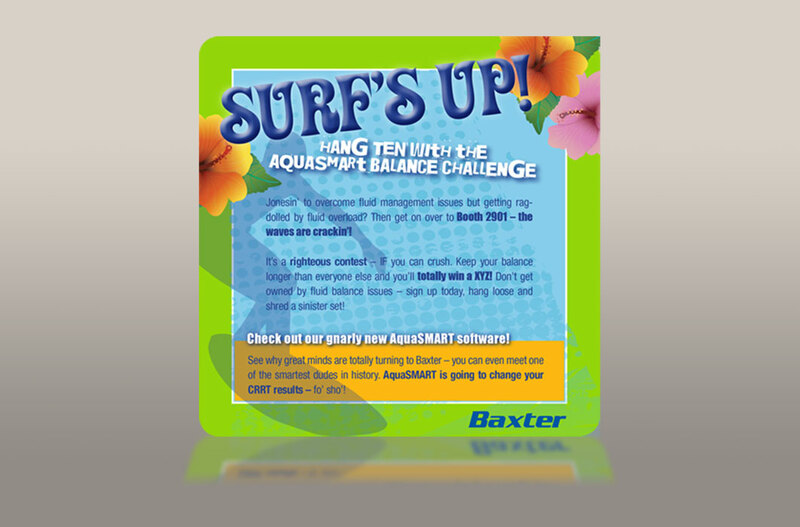 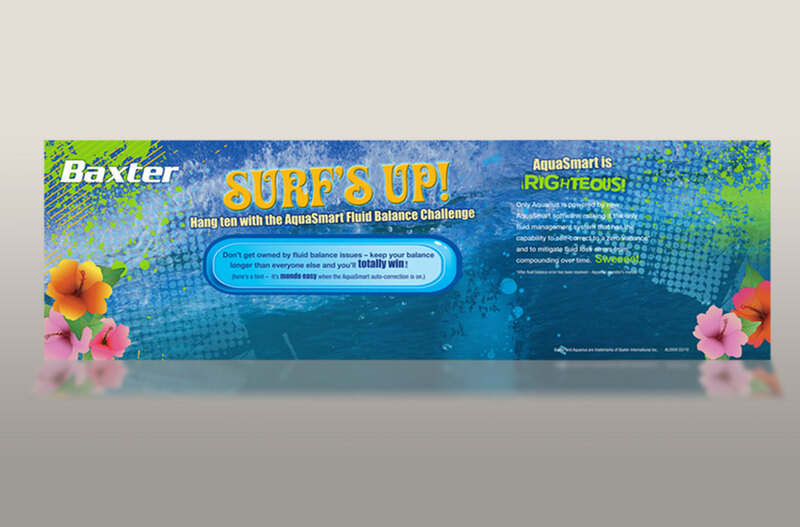 Gamification through a fully digital, branded surf simulator helped nurses to experience the struggle to achieve perfect fluid balance in a fully immersive surf-themed booth that employed tropical visuals and surfing lingo at every touchpoint – from direct mail invitations to post-show follow ups.